Milk screenwriter Dustin Lance Black pays tribute to unsung American hero and activist Harvey Milk. 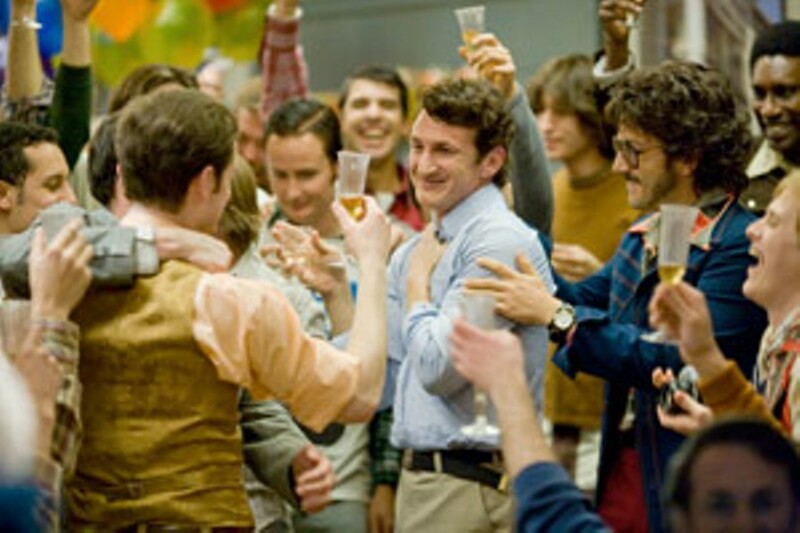 Gay activist Harvey Milk (Sean Penn) comes to life via Dustin Lance Black’s script. “He was celebrated by his city, not just his people,” says Dustin Lance Black of Harvey Milk. The groundbreaking gay activist rose to prominence in the 1970s until he was murdered by a fellow San Francisco city supervisor. Black is the screenwriter of Milk, the new biopic directed by Gus Van Sant and starring Sean Penn as the titular protagonist. He is polite but weary over the phone from a hospital in Virginia, where his mother is recovering from emergency surgery. The film opens with Milk dictating his life onto tape for safekeeping in the event of his assassination. It’s a device that pops up throughout the film---Black used transcripts from the real tape---existing as a useful expository element, a typical trope of the genre. Milk opens Friday. See Movie Times, page 44, for theatres and schedules.